The MX Linux distribution is a relatively new name in the Linux world. However, its predecessors MEPIS and antiX were both popular some time ago. I even reviewed SimplyMEPIS 11.0 KDE back in 2012. I am not very sure what MX means. Is it a reference to Mexico? Or to Moto-cross? Of just a hybrid of Mepis and antiX? You can comment your ideas below. Debian Stable is the backbone of this distribution. It is Debian 8 Jessie version that was used as a base for the latest MX release. 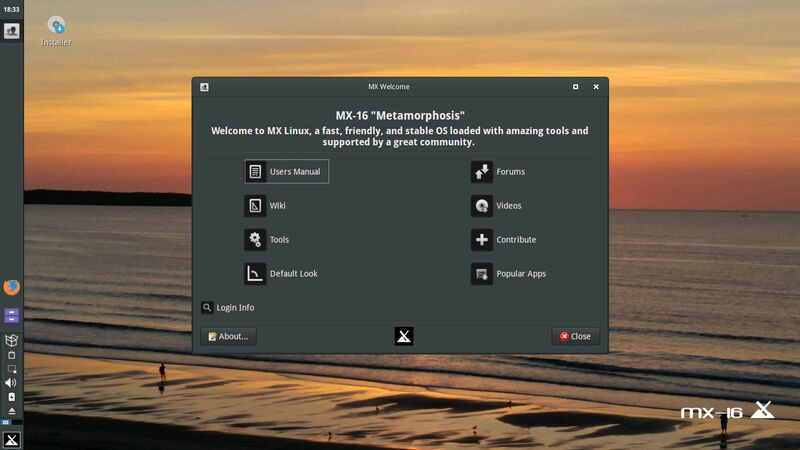 MX-16 is the name of the latest principal release of this operating system. It was released in the middle of December 2016. There are also monthly sub-releases for those who want to have a fresher version of the ISO, which will require fewer updates after installation. I downloaded the 64-bit ISO of "MX-16 original", which is 1.2 GB in size and available for downloading either via torrent or via half a dozen mirrors around the world. The dd command helped me to "burn" the ISO image onto the USB stick. This stick is plugged into the USB port of my Toshiba laptop. The initial boot menu of MX-16 64-bit operating system gives you a choice of three options: Live boot, memory check and boot from hard drive. At the same screen you can optionally switch your language, configure persistence and specify other boot parameters. I decided to try the persistence_all option during my Live run. Once I selected the Live run, the bootloader started to search for existing persistence files and partitions on my laptop and obviously failed. Then it asked me about the location of the partition where I would want to keep the persistence information. The USB stick location was not an option at that time. I was not too sure about the way persistence is going to work, so I cancelled the persistence partition creation after some time so as not to risk data on my HDD. Nevertheless, I later saw a directory antiX created on one of the partitions of my HDD. After that, the boot sequence continued and soon I ended up on the default desktop of MX-16. Once the boot sequence of MX-16 finishes, you cannot help but feel the difference with any other distributions you saw before. Of course, there is wallpaper with a sea sunset. You can change it to any of 5 alternatives. Of course, there is an Installer icon on the desktop. Of course, there is a welcome window with multiple links to useful information. But the distinctive feature is on the left. It is the panel, and both its location and contents are unusual for an Xfce distribution. If I forgot to tell you, MX-16 uses Xfce as a default desktop environment. For those who want to have some technical details, MX-16 runs on Linux kernel 4.7.0 and Xfce 4.12. Usual location of the panel in Xfce distributions is either the top or bottom part of the screen. MX places the panel to the left. And the location of the elements is also unusual. To start with, clocks are at the very top of the panel. Next down follows the set of icons for currently open applications. The active button is highlighted with black, which does not give very good distinction on an otherwise dark-grey panel. Nearer the bottom is a set of quick-start launchers for Firefox and File Manager. Next down is the notification area, which contains usual suspects like battery, volume and network indicators, as well as updates' information and Unmount icon. Next is a switch between two virtual desktops. And at the very bottom of the panel, on its usual place in the bottom-left corner is the menu button with MX logo on it. I cannot say that the location and composition of the panel is uncomfortable, but you need some time to get used to it. I may even try to play with the panel in my own installation of Xubuntu later on. The freshly booted system took just over 310 MB of memory, which is very decent. Once I clicked the network indicator on the panel, a list of available wireless networks appeared. It means that MX-16 Live correctly recognised and configured the wireless card of my laptop, Realtek 8191 SEvB. I selected my network, typed in the password and soon I was connected to the Internet. Thunar, the default file manager of MX-16, has the Browse Network section. It showed me my file server when I clicked it - no further manual input or even browsing was needed. In other words, the process of browsing a remote file server is not any different from browsing local drives. Maybe just a bit slower. I tried to open couple of audio and video files from that drive, and experienced no issues at all. All played well straight away. If you remember, there is a selection of different languages at the boot screen of MX-16. I selected English UK there, and the system booted with the relevant keyboard layout, unlike many other distributions, for example GeckoLinux. MX-16 met my expectations here. However, if you need to use more than one layout in your system, you need to configure them. The usual process for Xfce desktop environment applies. As I mentioned just above in the Network drive section, I was able to play couple of multimedia files in MX-16 straight out of the box. These were both MP3 and video files. It means that all necessary codecs are already present in this distribution. Both YouTube and Vimeo videos also played well, and so did 1tv.ru and CNN videos. MX-16 Linux distribution comes with a very good choice of applications available immediately for the user. Firefox 50 is the default and the only browser. 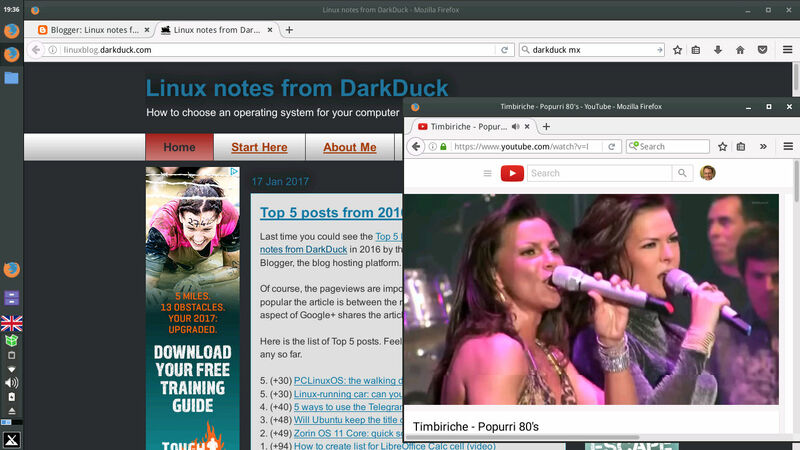 It comes together with Thunderbird mail client, Transmission torrent client, GNOME PPP dial-up tool and Hex Chat. Unfortunately, there is no default Internet messenger tool. To be honest, I would replace GNOME PPP with Pidgin or its equivalent. 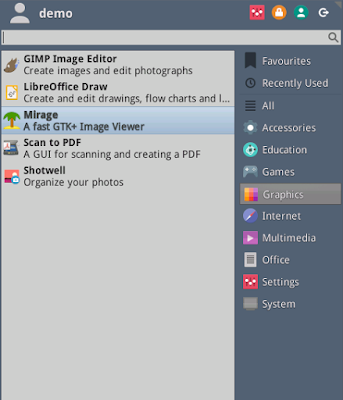 LibreOffice 5.2.2.2 comprises the main part of the Office menu section of this distribution, including Math and Base applications. The same menu section also has Orage calendar, Shuffle PDF viewer, E-book reader, Dictionary and some more. Graphics tools include GIMP editor, Mirage image viewer, Shotwell photo organizer, Scan to PDF scanning utility and LibreOffice Draw. The Multimedia menu section of MX-16 includes Clementine and VLC player, CD Ripper, Xfburn disk burning utility, SMTube YouTube viewer and several other utilities. There are dozens and dozens of various applications in the System and Accessories sections, and some of them are MX-specific, like MX Boot Repair, MX Package installer, MX Default Look, MX Tools and so on. For example, the MX Default Look application allows you to move the panel to the more appropriate place at the bottom and switch to "light" theme. I tried the latter, and the theme changed, though it was a change from dark-grey to mid-grey colours of the panel. The distinction between the active and non-active application buttons was still very subtle. 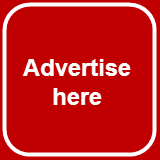 If you don't like the default list of applications and want to remove or add some, then Synaptic, GDebi and MX Package Installer are at your service. The latter gives you a tree-view list of applications and allows you to install something new in couple of clicks. It does not give you multiple windows with list of dependencies and confirmations like Synaptic does. It may sound comfortable, but at the same time a bit dangerous in my view as you cannot see the complete picture of required downloads and disk space before you start the installation process. The MX Repo List application allows you to manage the repositories. As MX-16 is based on Debian Jessie, you can understand that the whole list of Debian applications are available for you. 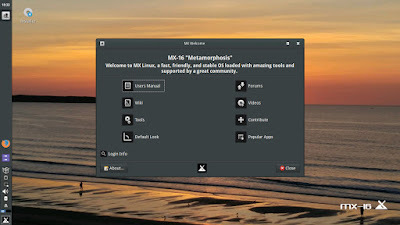 MX-16 Linux felt very stable and very responsive to me. I experienced no technical glitches or crashes during my Live run of MX-16 64-bit. It would be an ideal distribution for me, if it were not for two very small issues I would like to mention here. First, the choice of colours on the panel and in the whole distribution is rather strange. Deep-grey is rather gloomy, and a lighter colour would definitely give some brightness to the overall impression. On top of that, the active application button should be much more visible on the panel. Second, sometimes the fonts became blurry both in the browser and in the menu. This could also be looked at. But anyway, applause for the MX Linux team! They did a great job, and you can definitely enjoy working and playing with their operating system. Simon, I hope you will like it. Feel free to come back with your opinion. I have to give it all thumbs up, because the opening wallpaper by default, is Sunrise in Maine, which is actually where I live. So that alone did it for me. No there are a few things that like all other distros, are the same, but a lot more that I do like. During the install, it offers to retain the live settings, via a checkbox. What that does, is retain all the changes you can make before installing, thus saving a lot of time changing things to your liking. I found the dark themes in all Debian Linux, just do not work. They tend to make certain apps like Clementine unusable. Thats just with all of them. I would like to figure out how to get to the Software Installer directly. It seems to only be from the Welcome Screen. I am sure there is a way to find it and create a Link to it, but I cannot easily find that. I also need to go to the laborious task of remembering how to mount my primary hard drive of Windows so that I can access folders that Windows and MC-16 use together. Kenneth, happy to see you're in love with this great distro! You can move the panel to where ever you want it and use the wallpaper changer of your choice.It is the lightest and fastest Xfce distro I've tried.Also,it has persistence for the liveCD.This is the 1st distro I've seen that can do that with a DVD. I tried to move the panel to the side and make it vertical in my Xubuntu. Clocks also get vertical in this case, which is not right IMHO. Not sure how MX team did it right in their distro. Yes, Steve, ALL of the cosmetics can be altered in XFCE, so any complaints about this are moot at best. The Applications Menu icon can be changed easily right-clicking on it. The panel can be moved to top or bottom if the user prefers. The name MX is indeed formed from Mepis and antiX. The developers wanted to give a nod to the work done by the developer of the now defunct Mepis, whilst acknowledging the antiX root that MX has grown from. Thank for for your very positive review. Besides estetic changes. What is the difference between MX 16 and Debian+XFCE? 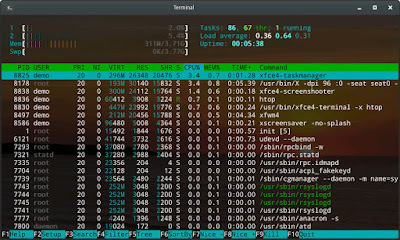 A lot of optimisation to enhance performance, and a number of tools to make life easier for common tasks that those less familiar with Linux often struggle with. On low to mid specification systems it is noticeably faster than, say, Mint Xfce. Thanks for looking at this closely, much appreciated. One minor correction: hexchat is provided by default, and is easily found by typing "chat" into the Whisker search box. Hi, my pleasure. I didn't understand your comment about Hexchat, sorry. 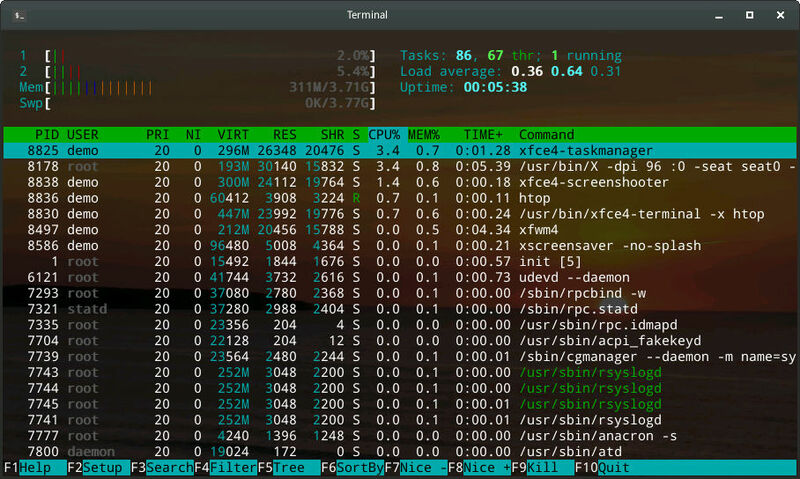 are you tested sparky linux kde already? I had been using Mepis for many years and upon a change in computer, I installed MX-14 then MX-15. I don't look at other distributions anymore because MX-15 just works. And if there is a problem the MX-15 Forum helps. thanks for your opinion and support of this distribution! This is my distro of choice, both for my own laptop, and for the machine I run my graphics/printing business from. It's wonderfully stable - I've never experienced a crash in almost 6 months. It's also fast. I use the Vivaldi browser, which scrolls smoothly and works quickly. I like the way this distro sticks to solid, proven applications (GDebi, Synaptic etc) while feeling sprightly, which makes using it a pleasure. I agree with the review that it looks a little dull but, hey, there are loads of themes out there! I can't see myself changing as I can't find anything better. 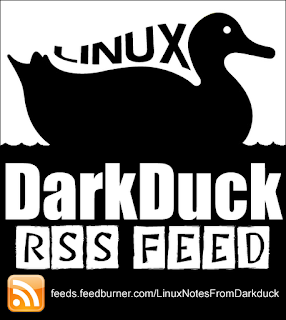 Overall, an honest, sensible, stable and fast distro. I'll be staying! Thanks for sharing of your thoughts, Rob! I've been trying it out on a usb stick and would install it in place of Lubuntu except for 2 things - I've got an old HP Proliant ML110 Pentium with 2x250 GB hard disks that I've set up as a 500 GB RAID 0 array and MX16 doesn't see it (Debian does, as does Lubuntu). - I can't find a South African repo (again, Ubuntu and Debian have ZA repos) and I'm defaulting to Crete. So my updates are really slow! Mike, have you reported this to the MX team? Yep, your 2 minor issues are the same and only complaints I have (or had). Got to the whisker menu, now settings, click appearance. Style to bluebird (or greybird) thick grip; icons to faenza cupertino; *FONTS to ARIAL 12*. Yes, this is my personal preference, but it maintains it's snazzy appearance, yet gets away from that look like the neighbor kid ate your crayons and threw them up on your screen color scheme. Thanks for sharing your tips, Duane! I've used Mepis years ago and remember being impressed by it, but distro hopping was just too tempting to me. I've being using Linux since 1994 and tried pretty much every version out there, but I just recently downloaded this new MX Linux 16.1 and I think I've found my new home. It's awesome! Super fast and smooth, stable, easy to use, and with a couple of quick visual tweaks - great to look at. Great news indeed John! I'm happy you like this distribution! I agree about the look and colors. This is changing in MX17 . a quote from the mx makers. 2. Test new themes as well as existing MX-16 themes. Many of the gtk themes in MX-16 look....odd... under Debian Stretch (comments in the "stretched" mx16 posts are key here). you can test these under antiX 17 as well, particularly if you keep to the stretch repos. Guidance from the Art Team concerning theme testing is available here. The look is the less important thing and that needs some time. The performance is solid rock and fast. The mx tools are great and still in develop. Hi, I'm using MXlinux and have install MATE desktop 1.8.1, it works very fine without using a lot of memory like XFCE, all MX applications works. Good job many thanks. Think about to do the MATE desktop version but only with 1.8.1 that is using a very few memory. Hi in MX17 linux is mate more light than xfce? 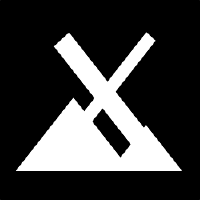 and if so i can install this [mate] from repository directly? When you activate window blending. after that you can make the xfce gui look like a charm. There is also a xfce color changer app. Many possibilties to make xfce look like you want it to look. The best Distro at the moment. Are these the Xfce generic features, or MX-specific? Menu / Setting / window managements / last tab / activating window blending. Why the question as i may ask. By the way Mxlinux 17 beta 1 is even better in my case with my hardware. Better network management i experience.